Where did herpesviruses come from? Humans, of course, have 8 different herpesviruses that are remarkably good at infecting us. Humans aren’t exceptional: We know of 200-odd herpesviruses so far, and more are being identified practically daily. It’s likely that virtually every animal species has its own set of unique herpesviruses. This is probably because herpesviruses are very host-restricted (rarely infecting more than a single species) and set up latent, life-long infection. When an animal population speciates, its complement of herpesviruses speciates along with it. How long has this been happening? What mammal, dinosaur, fish, or trilobite did the first herpesvirus infect? • Amorphous tegument between capsid and envelopeAmphibians and fish herpesviruses are quite different from mammal and reptile groups, and cluster into their own broad family, sharing a number of closely-related genes. Genome similarity is low or non-existent, but the pathognomic physical structure, capsid architecture, and overall DNA organization is entirely consistent. These are clearly herpesviruses that diverged over 400 million years ago, and have evolved away all but the faintest semblance of sequence similarity. Impressive as it is to be able to reconstruct virus evolution for nearly a half billion years, we’re not done yet. In 1972, a herpesvirus of oysters was identified!3 So far this is the only herpesvirus of invertebrates to be definitively identified (there may be others, such as a herpesvirus of abalones,4 but as far as I know only the Ostreid herpesvirus has had its genome sequenced,5 so it’s quite possible that the abalone virus is the same thing). As with the amphibian and fish herpesviruses, OsHV has the very characteristic herpesvirus structure and organization, but at the sequence level it’s very different from either of the other major branches, making this the only known representative of a third major group of herpesviruses. A novel class of herpesvirus with bivalve hosts. Andrew J. Davison, Benes L. Trus, Naiqian Cheng, Alasdair C. Steven, Moira S. Watson, Charles Cunningham, Rose-Marie Le Deuff, and Tristan Renault. J Gen Virol 86 (2005), 41-53 . Common Ancestry of Herpesviruses and Tailed DNA Bacteriophages. Matthew L. Baker, Wen Jiang, Frazer J. Rixon, and Wah Chiu. Journal of Virology, December 2005, p. 14967-14970, Vol. 79, No. 23. You may be interested to learn that in early November a herpesvirus was identified and sequenced from the abalone ‘Haliotis rubra’ after the virus has decimated stocks and continues to spread along the coast of Victoria, Australia. The work was done by the Aquatic Animal Health Laboritory in Geelong, Vic., Australia. At this stage, the exact source of the virus has not been identified. A PCR is being developed. I didn’t know about that; thanks. 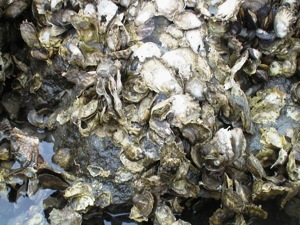 The oyster herpesvirus seems to be very capable of causing disease, and of crossing species – both quite unusual in mammalian and avian species. The previous herpesvirus identified in abalones in Taiwan may be the same as the oyster herpesvirus, as (I suppose) may be the Australian one — do you know if that’s been ruled in or out yet? After know where did herpes come from, the other problem is how to living with herpes since it is not curable. alone. They would like to seek a community that can really understand what they are going throught. As I know pozgroup.com is not a bad choice. They got a long and frequently-updating success stories list. Having studied herpes for years I had no idea there was an oyster/clam link. I wonder if the same acidic theory would have an effect here. Very interesting and informative article. I had no idea herpes has been around that long and in so many species. I didn’t know that there were eight different herpesviruses. Also, I didn’t know that each set of animals have their own herpesviruses. How are herpesviruses transported between animals? I think it’s good to learn more about this virus and possibly work on finding a cure. I think the clam link is a very interesting connection to herpesviruses. I hope that this link can help the herpesviruses. I never heard of spumaviruses and didn’t know that it was the cousin HIV virus. I’m glad to know that spumaviruses are not harmful to humans or animals. Does it cause any problems for humans or animals? Spumaviruses is a very interesting subject and something that we haven’t covered in class. It’s good to know that spumaviruses cannot be transferred from human to human. Interesting article , and your right people cringe at the thought of getting herpes , and I thought that herpes only infects humans , interesting. I wonder , is it safe for us to eat herpes infected mollusks , does it have any effect on us. Uhmm, this is quite disturbing. A few months ago, I learned that up to 30% or more of our DNA is viral type material that the body actually uses in a symbiotic way to create accelerated mutations in response to — other virus of course. 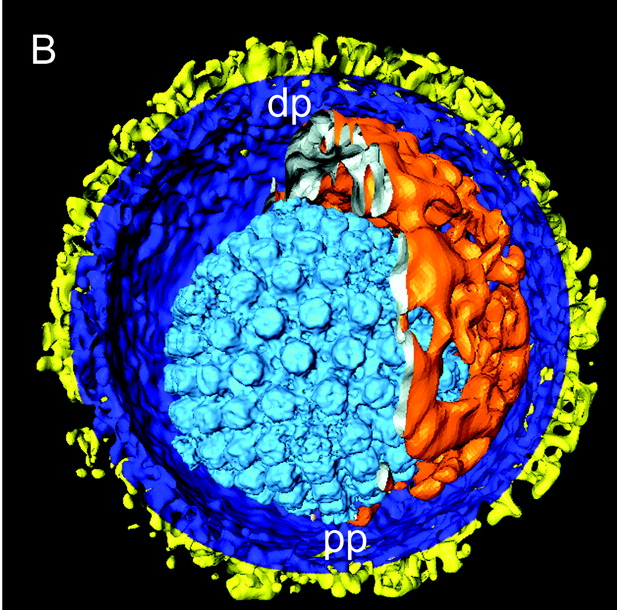 Now we learn that this sneaky little herpes virus which has been around since what — like a billion years is prevalent in many other species. I wonder, since Nature appears to have balance, if all current species having herpes aren’t in fact the survivors — what do I mean? I read the book survival of the sickest, and it espouses the theory that nature allows viral activity in species as long as that activity allows the species longevity enough for propagation. Those with an iron blood disease survived the great plagues in europe. So, Herpes — friend or foe ? Very interesting. I had not even thought about the connection between food and Herpes. I had always assumed the cooking process killed any diseases and bacteria. apparently not lol. so becareful what you eat? apparently you can get herpes from playing beer pong too hahaha. Thanks for the interesting and informative post. I had no idea that clams can get herpes but I guess you learn something new each day.